Although the English used in the 1611 King James Version (KJV) Bible is "modern," many of the words it employs have a different definition today than they do when they were written. Some words are no longer used and many have changed their spelling over the years. The definition of a word, translated in the 17th century, can at times be significantly different from the meaning we attach to it today. An example of an archaic and confusing word in the King James Bible is found in Leviticus 16. While discussing the preparations, events, etc. 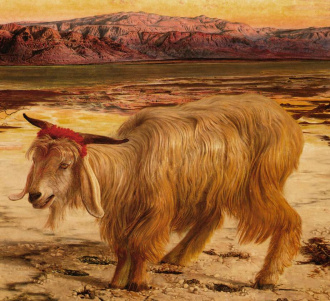 for the day of Atonement the word 'scapegoat' (Leviticus 16:8,10) is used. Our modern definition of a scapegoat is a person (or group, etc.) who is unjustly blamed for the negative actions of others. For example, a boss who is stealing from a company may try to find a scapegoat (an innocent lower-level worker) to blame the thefts on in order to avoid losing his job. This is not, however, the definition intended by the verses. When was the New Testament written? The scapegoat referenced in the King James translation actually represents Satan the devil and his part in the sins of humanity. He will be responsible for his actions in deceiving others. He is certainly not an innocent party blamed for the actions of others! Below, in bold, is a list of words and phrases found in the King James Bible. Directly under them is their modern English meaning and a few places the word is used. 1Corinthians 8:1, 13:1 - 4, 8, 13, 14:1, 16:14, Colossians 3:14, etc. Psalm 37:14, 50:23, 2Corinthians 1:12, Philippians 2:27, 1Peter 3:1, etc. Matthew 10:38, Mark 15:30, Luke 9:23, etc. 1Samuel 26:11 - 12, 26:16, 1Kings 14:3, etc. Matthew 1:18, 20, Luke 1:15, John 1:33, etc. Goat of departure or removal (represents the devil).